In the 12 months prior to joining Marketo as global CMO, Sarah Kennedy was exposed to one of the most challenging moments of her career: Managing a widespread customer data breach. Kennedy has spent the past decade in travel and hospitality with reservations software provider, Sabre, holding product and field marketing roles before overseeing its innovation and R&D lab and a team of user experience designers and developers. She then became VP of global marketing and digital experience, increasing marketing ROI by 3.5 times and organic revenues by 20 per cent. But it’s arguably the full year in a war room managing a large data breach that taught Kennedy the most powerful customer experience lessons of all. “We think about customer experience in a flowery, positive sense almost too often. It’s even more important to think about CX and putting them first when situations aren’t ideal,” she says. In this instance, Sabre’s SynXis software-as-a-service platform was hacked, giving an unauthorised party access to guest payment information across some hotel reservations such as those with Four Seasons Hotels and Resorts. The war room experience also cemented Kennedy’s opinion of the important role marketing plays within an organisation. “A legal department’s job is to manage risk and liability for an organisation. It’s a very important role. But the flip side is that it’s so critical for every company facing any type of crisis, no matter whether it’s data related or not, to also have the voice of the customer and their best interests at heart fully represented,” she says. “It’s up to the marketer to take ownership of that. It’s not going to happen without someone else stepping up to counterbalance the responsibility of teams that don’t interact with customers every day. As marketers, we have that unique point of view about how to really help them manage a difficult process. And desire to be as transparent as possible. 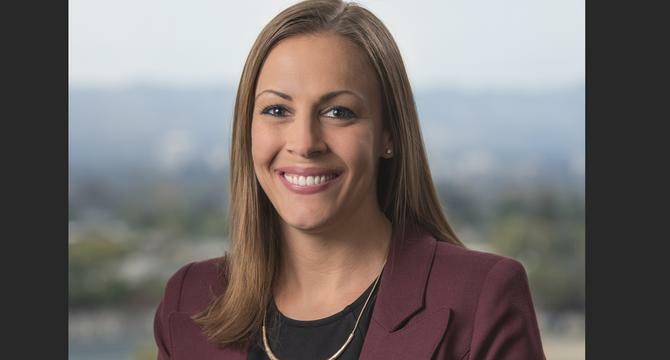 Kennedy still sees her role as one of customer leadership at Marketo, even as she’s joined by chief customer officer, Matthew Zilli, on the c-suite team. CMO had the opportunity to ask Kennedy a number other questions during her recent visit to Australia around being a CMO, how she can improve the marketing strategy of one of the world’s biggest martech providers, and the key skills every modern marketer needs. What were the first priorities for you coming in as CMO in November? Sarah Kennedy: I walked in to the middle of 2018 planning, which got me into the weeds in a way I wouldn’t have been by design at another time. When my head came above water, the top priorities were firstly, the brand and Marketo story. I’ve been focused on finding the right agency partner to do that brand refresh who closely aligns with our values and is proud to be a go-to partner. I’d much prefer to have a few strong partners who reflect our values and are an extension of our team than 30-odd different people doing the work at the moment. For Marketo, it’s about how we become the version of where we’re headed as we move into the enterprise segment. There is a lot of equity associated with our brand, but a next level up we want to get to. Importantly, how do we tell our story as we grow into larger segments aggressively? Having our sales team tell that story passionately is where we spend a lot of our time. It’s about telling it in a personal way, consistently and at scale. Another priority is org design and operation, and getting share services functions that haven’t really existed before in areas where I have a firm belief they should, such as creative and content. These need to be the heart and soul of our business. It’s hard to outsource that and have the quality and support your global teams need. The last priority is areas of growth we’re focused on – partner marketing being one, enterprise being the other. This is about optimisation of the pipeline, end-to-end, and areas where marketing is best focusing its efforts in 2018 versus where we have been in past years. Your CMO predecessor, Sanjay Dhokalia, was very big on breaking down silos and removing channel specialisation from the marketing function. How do you feel about the specialist versus generalist marketer? The industry itself goes through ebbs and flows and trends of how we think about this, and every organisation does as well based on its lifecycle. So much work is important to what I believe Marketo is aspiring to be in the market. But it’s been over-outsourced because we didn’t have those skills in-house. With creative services and digital experience, for example… much of it is heart and soul to how you interact and engage with your customers. You need to hire specialists to do it right. Then if you look across other disciplines and shared services in marketing, you need people who have some mix of sales experience as well as other marketing roles to come into segment and product marketing. It’s not because I want them to be generalists in their jobs, I just want them to have context to understand how to be more effective. Generalist day-to-day jobs happen a lot more in field marketing across regions. There you need to have jack of all trades who can pick up at a moment’s notice, runs to the fire and scrappily grows a mini-startup in regions we don’t have a strong a footprint. That’s where the generalist model is more necessary and effective. What other skills, behaviours and attitudes are you striving to have across your marketing team to get the risk appetite, agility and resilience needed to drive growth? I define the types of people I hire in three buckets: Stalkers, surgeons and savages. Stalkers are the people who are unafraid and proactive without ever being asked or prodded. They will immerse themselves in every discipline they need context from in order to do their jobs more effectively. It’s about understanding the problems we’re trying to solve for through real-life context and what happens in the field. If you don’t have that context in your team as a marketer, you’re always stymied and will never have end-to-end empathy. Secondly, surgeons are the marketers who do everything with purpose. This means being laser-focused on outcomes, driving performance and results - that will often mean being empowered enough to say"no" to ideas you don't believe will be good for the business. My team is all about this year saying no to things and focusing on where we can make a big impact. It’s more about experimenting and proving things are possible through small experiments that then grow. Savages do whatever it takes and want to get the job done. Whether or not they’re skilled in certain areas, I want people who run towards the fire and are fully accountable. These individuals have no fear supporting their colleagues whatever the challenge is as they know the priorities for the business. What sort of ROI and deliverables does your marketing need to adhere to? How are you working to foster those attributes through ROI, KPI, metrics and so on? For me, it’s about taking a deeper look as we grow into new segments, specifically from a ROMI [return on marketing investment] perspective, and identifying areas where we have levers to pull that we haven’t been as focused on. For example, as we grow into the enterprise, deal cycles are often much longer. In smaller businesses, marketing sourced pipeline and actual won closed deals is significant – we’re in the 70-80 percentile. But if you go into the enterprise space, you don’t necessarily want that. What you do want is to be more surgically focused on how you move prospects through the funnel, and how to approach account-based marketing to build a broader ecosystem of stakeholders to help convert from a target to a marketing qualified lead, and then an opportunity. Those definitions of what marketing sourced is, or what first-touch should qualify to be in the enterprise segments, are what we’re focused on. We’re looking at benchmarks at conversion stages through the funnel and where marketing can really focus more so than what we’ve done historically in SMB, which is top-line funnel contribution. It’s also about understanding the lift you get from thought leadership and content marketing in a way that’s not just about pipeline, but brand recognition and share of voice. I’m reintroducing some of those KPIs as they’re critical indicators. You sell yourself short with the work teams do in this area if it doesn’t get recognised through metrics. A report late last year in the Harvard Business Review claimed a significant disconnect remains between CMO and CEO, and suggested this is one of the key reasons why CMOs have the shortest tenure in the c-suite. What’s your view on this issue? I’m intrigued by this notion. I rarely meet CMOs – and perhaps it’s the circle I operate in – where this happens. But there is a disconnect out there and it may actually be with the CFO. The CEO, while controlling much of the business and being a figurehead, is supported by a number of different players at different levels that actually shift perception and decision making. The CFO is often the primary one. It’s the CFO that’s more likely to have a conflict with the CMO and the detractor. There’s also perception. I’ve never viewed myself as a pure marketer; I’m a business leader who happens to have expertise and experience in marketing. Like any c-suite leader, I’m answering questions and trying to solve broad-based problems every day. We don’t stay swimming in our one lane, we are an agile team and solve problems together. When you have that mindset, no matter which leadership role you’re in, it’s pretty hard to not be in line with the CEO because you’re solving challenges waking him or her up at 3am. What are the key attributes of the modern marketing leader? A constant state of curiosity and hunger for learning more, especially in the tech space, is vital. You can’t fake it, and you certainly won’t spend the time it takes to get to the next level or build a different style of thinking to how you approach problems in your business, or partner with your customers. Another is a hunger and passion for taking ownership – whether it’s the hardest problem you know has a high likelihood of failure if you don’t solve it, or a great success. CMOs have to be fearless in everything they do, be bold and convictive.